A nice example of a client choice pantry. 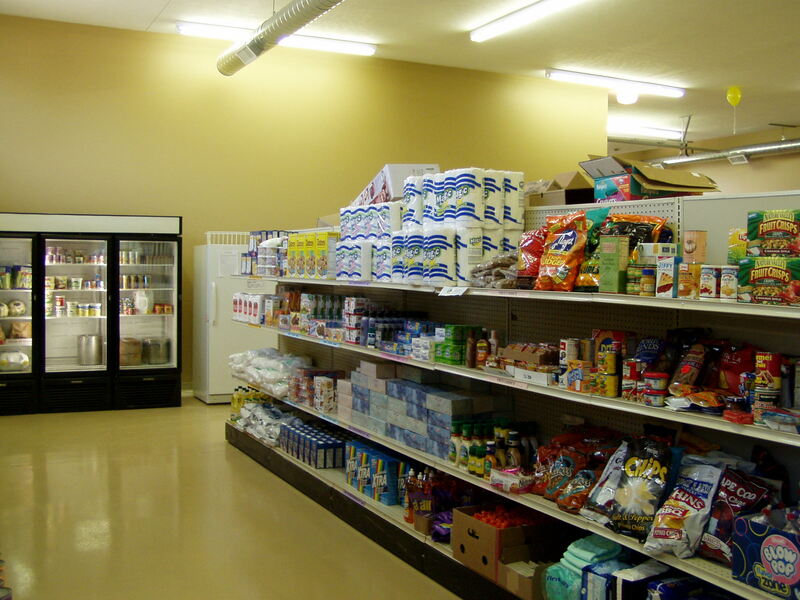 The basic premise of the client choice food pantry model is just that – allowing people seeking food assistance to choose for themselves what products they receive. Many client choice pantries resemble small grocery stores, with products arrayed on shelves and in coolers/freezers, from which clients can fill boxes or bags. Others produce a list of the food they have available, and then prepare individual packages based on clients’ selections. Client choice pantries are very space-flexible – some have even run out of closets successfully! Client choice food pantries are the perfect companion to food banks, as their flexible structure allows them to accept a wide array of products to offer their clients, rather than trying to always keep the same exact few things in stock. In many cases, client choice pantries only need to acquire non-Food Bank food to accommodate people with special needs, like very young children or the diabetic, and can otherwise be entirely stocked by simply taking some of everything their local Food Bank has. The client choice food pantry model is a critical part of a community’s efforts to end hunger – not only does it make it easy for the pantry to use a food bank, but having the opportunity to choose their own food gives the people being served a sense of dignity and control, limits waste (since they tend not to take food they won’t use), and allows them to tailor the help they receive to be the best possible fit for their own unique situation. For more information about client choice food pantries, check out the relevant chapter in Charity Food Programs That Can End Hunger In America or watch some of these great videos.